We're back from our blogging break! While we work on catching up, here are a few snapshots of the Vuolos. Aren't they cute? 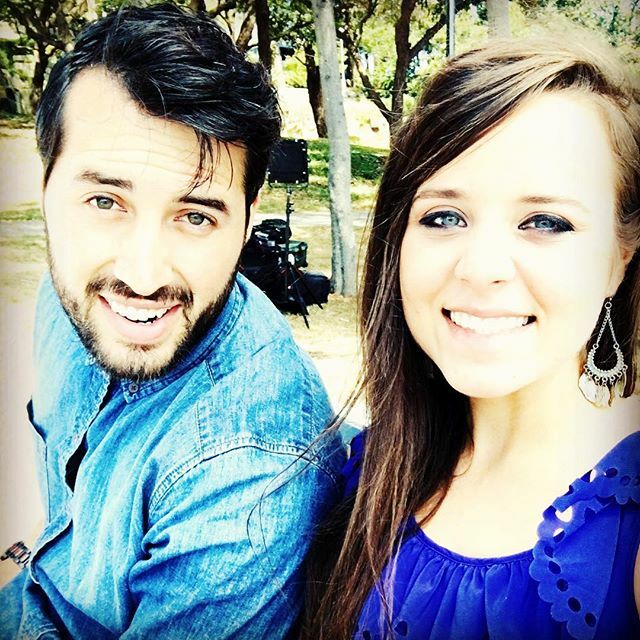 Jinger and Jeremy have been married eight months. I love the pic of Jeremy holding her. So cute!! Absolutely love you guys. Love the pics. Keep them coming. You guys look great and make a lovely couple. 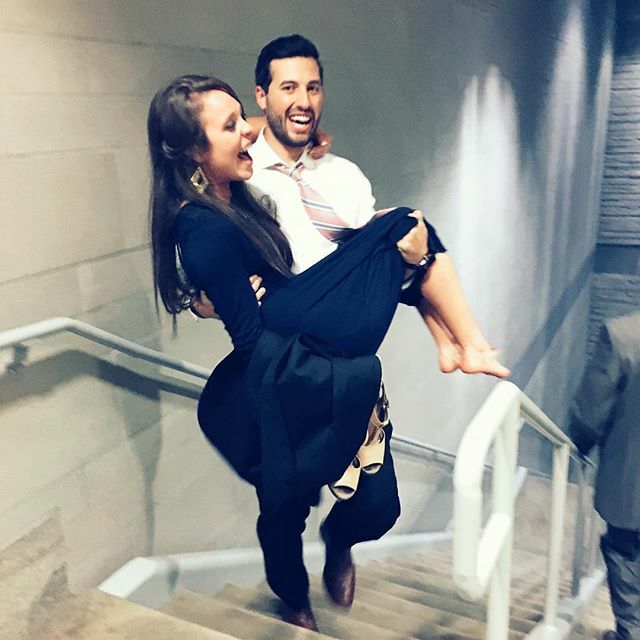 Love the picture of Jeremy carrying Jinger up the steps. They seem like such a lovely couple. I really hope Jeremy encourages Jinger to spread her wings a bit, maybe take some classes, photography would be good as she has a flare for it and is interested in it, with qualifications she could become professional give them some extra income. 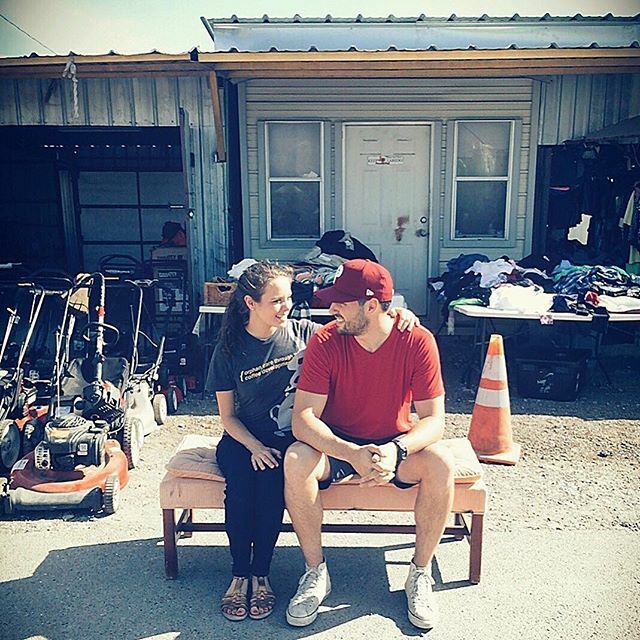 Jinger and Jeremy are the cutest couple! Their love and respect for each other is so heart-warming. Jeremy, having studied the Bible, has provided a home for Jinger with Biblical under the dispensation of Grace and without legalism. It is so refreshing to see a young couple honor their God through courtship, engagement and now marriage. This couple has set goals in their life. They seem so happy, grounded and willing to minister and serve others! Thank You Jinger and Jeremy for the example you have been to our Youth and Young People across America through the various stages of your relationship. The two of You really are a match made in Heaven! So honest, endearing, and exude such a "Servant's Heart"! May God richly bless this couple as you have been a blessing to others! KitKath, what are YOU questioning about?????? Jinger for the best husband of the bunch. Older, settled, and doesn't live near the rest of the family so they can live their own lives. And she's not pregnant yet. They will really know each other by the time their first little one comes. How do you know that she's not pregnant yet?Did they say anything regarding pregnancy? whats the hurry for this young couple to get pregnant right off the bat. they are newlyweds and should enjoy the frist couples years of marriage before even thinking having any children. I am so happy for her and Jeremy! I know there isn't a huge age difference but she looks so young next to him. Jeremy is just over six years older than Jinger, so at 23 for her and he'll be 30 in September, it makes a difference. She does look so young in the first picture in particular! Beautiful couple. I would love to hear if Jinger is still working on her photography. She has a wonderful talent that I hope she is still honing. They are an adorable couple, and seem to be so much in love! They are a very cute couple. I would love to see Jinger with a shorter hair cut. Not criticizing her current style, I'd just like to see what it looks like. I'll bet it would be very flattering. Well, in the first photo it's both curled and in a ponytail, so hard to tell the real length. The Duggar girls have really big feet for small built girls. Especially Jinger. Not a criticism but curious where they get it from. Maybe Jim Bob's side as Michelle has small feet. Very nice looking couple.. I am hoping that they are very successful in their mission in Larado.. what denomination is the ministry with? Jeremy and Jinger are my favorite Duggar couple. They're so cute! I'm glad she started wearing jeans. She pulls them off really good. Love Jinger and Jeremy!!! They should get a spin off show of t heir own!!! Jinger and Jeremy are my fav couple, they live by their own standards. Not followers like Jessa, Jill and Joy. Looking at the photos you can see and feel the true love and respect they have for one another. Living so far from the family compound is not only smart but is allowing them to have a life all their own. Best wishes Jinger and Jeremy, may your life always be fun, full of laughter and guided by God's plan for you. They make make a sweet couple. Jinger has always been my favorite Duggar. So happy for her! I think she will be a great pastors wife and do wonderful things for the people in Laredo. I also think wearing pants is a smart idea so she is more approachable to the people she ministers to. I would like to see more of Jinger (and Jeremy). I miss her. I understand though, that being a minister's wife, can be all consuming. She was bopping around Laredo all day buying gifts for home. And she's been video conferencing with sisters. Not exactly all-consuming pastor's wife type of work. Can everyone just stop being so negative towards great people!